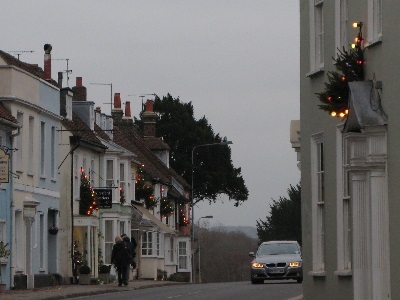 The Alresford Pigs Association working for the Chamber of Commerce have erected 150 plus Christmas trees on the buildings principally in Broad, East and West Street plus several side streets of New Alresford. The Christmas Tree Fund has put up the large Christmas Tree on Broad Street. On Wednesday 11th December they are responsible for the Arrival of Father Christmas where children under seven can meet Father Christmas and get a present. The local schools provide the choir and orchestra, the Alresford Pigs produce the panto for Father Christmases arrival and the Rotary assist with marshalling. 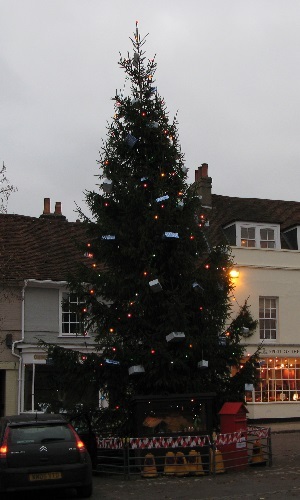 The Alresford Rotary Club Christmas tree sale takes place on Saturday 14th December at the top of Broad Street. On Sunday 15th December the Chamber of Commerce have organised Christmas Shopping Day from 11am-3pm when many of the towns shops will be open. In addition a Traditional European Food and Craft Fair will on Broad Street from 9am to 5pm. A more recent tradition has been the Christmas Tree Festival in St Johns Church. Trees decorated by different organisations and schools are on display. Probably from Saturday 7th to Wednesday 11th December. 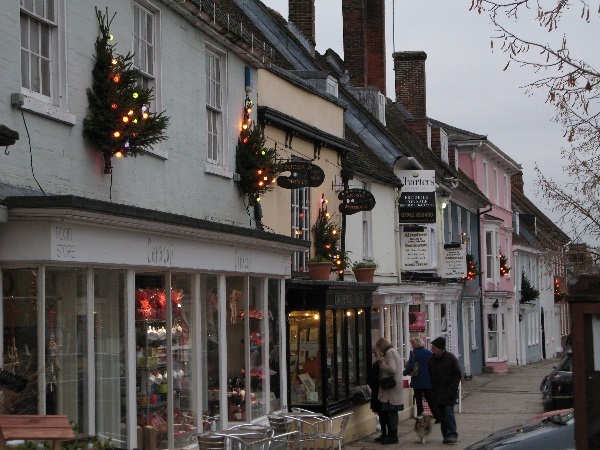 Local Alresford, Christmas, organisations. permalink. How long does it take cycle somewhere in New Alresford?